Beaufort has many residential communities and historic neighborhoods to choose from, prices to fit your budget and amenities galore. 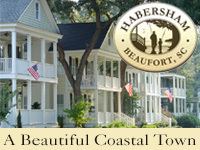 Many of Beaufort’s residential communities are located on or near the water. Discover all that Beaufort has to offer you and your family.